Nuts are not only healthy but add a beautiful richness to marinades or curries. In this Chicken Seekh Kabab recipe the Cashew nut is the hero blended with chilli, yoghurt and spices. We recommend serving this recipe with a chilli garlic barbeque dip. 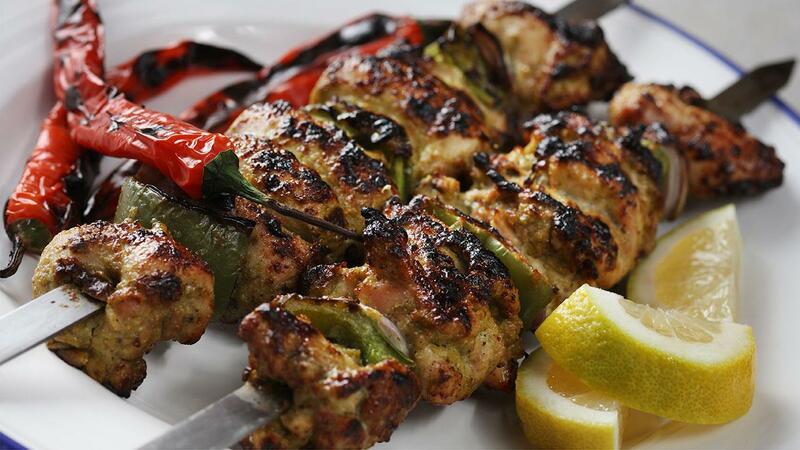 View the recipe for the kabab & the dip below! Combine all the ingredients with a whisk, adjust seasoning and serve on the side. Soak cashew nuts and sesame seeds in water for 15 minutes. Place nuts in the blender or mini-food processor with garlic, ginger and chilli. Blend with some Rafhan Corn Oil into a smooth paste. Add into the blender spices, yoghurt, Knorr Lime Seasoning Powder, coriander Knorr Chicken Stock Powder and blend until smooth. Remove mix from the blender and add Kasoori Methi (fenugreek leaves). Finally add to the chicken. Marinade the chicken for 12 hours before skewering. Grill on high heat over charcoal for about 8 minutes turning constantly. Serve the Seekh Kabab with coleslaw made with Best Foods Real Mayonnaise.